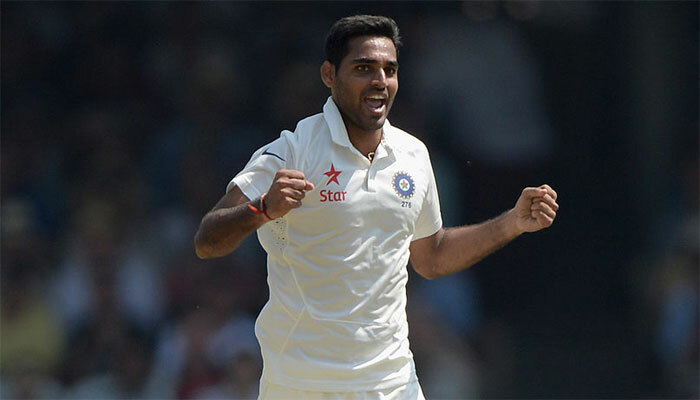 India have brought Bhuvneshwar Kumar back into their squad for the last three Tests against England. They have also left out Gautam Gambhir, leaving M Vijay and KL Rahul as the only two specialist openers in the squad. Gambhir, released from the squad during the second Test in Visakhapatnam, is playing for Delhi in their Ranji Trophy match against Rajasthan in Wayanad, and was out for 10 in the first innings on Tuesday. His opening partner Shikhar Dhawan, who has recovered from a thumb injury and was in the running for a Test comeback, made 38. Dhawan didn’t find a place in the squad either. Bhuvneshwar, who took a five-wicket haul in the first innings of the second Test against New Zealand, was ruled out of the third Test with a back strain, and was not picked immediately upon recovering, with the selectors wanting him to prove his match-fitness in first-class cricket before returning to the Test team. Bhuvneshwar subsequently played for Uttar Pradesh in their Ranji Trophy defeat to Mumbai in Mysore, taking two wickets while bowling 36 overs across two innings. With the third Test to be played in Mohali, Bhuvneshwar could be in line for an immediate return if the pitch plays true to its traditional reputation of helping seam bowlers. India squad for last three Tests: Virat Kohli (capt), Ajinkya Rahane, KL Rahul, M Vijay, Cheteshwar Pujara, Karun Nair, Wriddhiman Saha (wk), R Ashwin, Ravindra Jadeja, Jayant Yadav, Amit Mishra, Mohammed Shami, Umesh Yadav, Ishant Sharma, Bhuvneshwar Kumar, Hardik Pandya.